The first part of the Seminar will be conducted by an FBI Agent who will speak to the danger areas related to Cyber Theft, statistics related to Cyber Crime and the challenges of retrieving stolen funds and apprehending the bad guys. The FBI Agent will also have some practical tips to defend yourself from Cyber Theft. 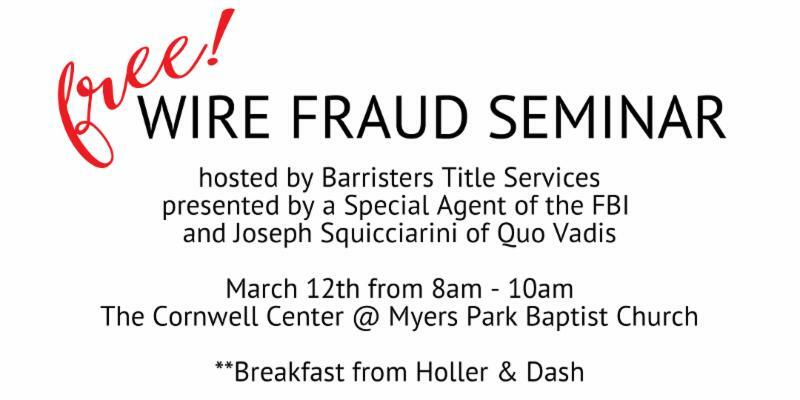 Part two of the Seminar will be conducted by Joseph Squicciarini of Quo Vadis. Joseph is a top notch and very experienced IT professional. Joseph’s presentation will provide practical guidance related to identifying potential problem areas and buttoning up your cyber defenses.